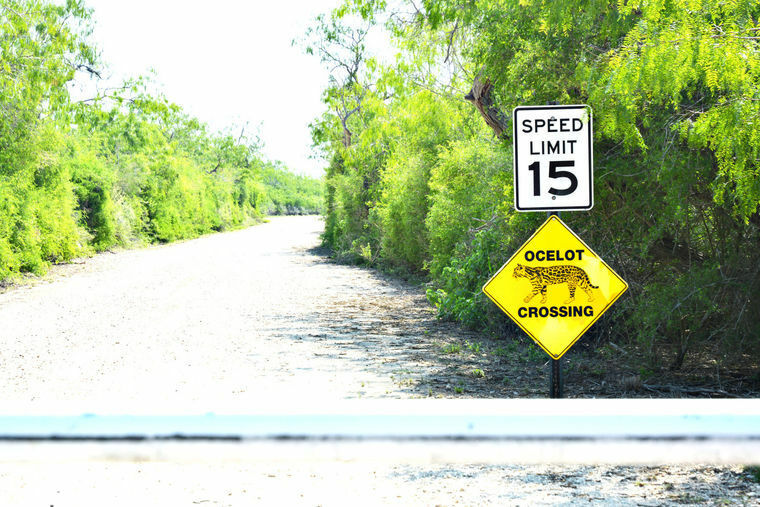 Popular nature road Bayside Drive was shut down by Laguna Atascosa National Wildlife Refuge officials in 2013 to try to protect endangered ocelots from being killed in traffic. Now the refuge is proposing an overhaul for Bayside Drive and its possible re-opening. LOS FRESNOS — A four-year hiatus for vehicle traffic on popular Bayside Drive at Laguna Atascosa National Wildlife Refuge may be coming to an end. In part to help counter a major decline in visitors since 2013, Laguna Atascosa officials are proposing to reopen the road with some significant changes in what would be a $4.015 million project. The closure of the popular nature drive to vehicles came after two endangered ocelots were killed by cars on the road despite a 25-mph speed limit. A later ocelot fatality on nearby Buena Vista Road in 2009 sealed the fate of Bayside Drive and its vehicular traffic. While it was a “tough call” then, refuge Manager Boyd Blihovde said the threat posed by vehicles to the refuge’s 15 or so endangered ocelots made it the right thing to do after trying things like lowering the speed limit to 15 mph. The U.S. Fish and Wildlife official said since that decision to close Bayside Drive, he and the staff at Laguna Atascosa have been trying to find a way to reach a better balance when it comes to visitor access to the refuge. Since 2013, Bayside Drive has only been open to bicyclists and hikers. But Blihovde said re-opening Bayside Drive would provide an avenue for people who are physically unable to hike, or ride a 15-mile loop on a bicycle, to use the refuge, too. The new proposal would make Bayside Drive a two-way road instead of a 15-mile, one-way loop. It would be widened and opened to traffic over 8.2 miles with a turnaround to be built at the Redhead Ridge parking area. The southern part of the route on Bayside Drive, where the two ocelots were killed eight years ago, would remain closed. The proposed changes are laid out in a draft environmental assessment which also includes a number of improvements to the overall refuge, including paving roads and parking lots. Blihovde encourages those interested in the proposal to help by giving feedback, either by writing a letter to him addressed to the refuge headquarters or via email at boyd_blihovde@fws.gov using EA/Bayside Wildlife Drive” in the subject line. The new road would become an out-and-back drive open to vehicles on Fridays and Saturdays, with Sundays and Mondays reserved for bicycle riders. Hikers and bicyclists have had access to the road since it was closed to vehicles in 2013. The closure of Bayside Drive was unpopular with many people, although most understood the importance of limiting the exposure of ocelots to vehicles. But the refuge nonetheless saw a significant reduction in visitors, and the refuge’s environmental assessment says visits to the refuge are down 34 percent since Bayside Drive was closed to traffic. Blihovde said despite the support the endangered ocelots have, his experience shows public backing for programs intended to protect endangered species can prove fickle. “I’ve managed manatees, sea turtles and numerous endangered species, and I’ve seen the public turn against species that were protected because the agency had to do so much to protect them, like close properties, control the speed of boats for manatees and different things like that,” Blihovde said. >> Tentative plan is for Bayside Drive to open for private motor vehicles on Fridays and Saturdays.